MainAll NewsInside IsraelAre police arresting people for nothing? Are police arresting people for nothing? 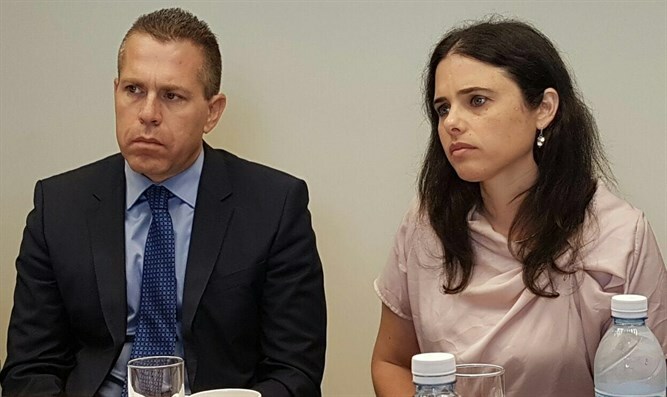 Government approves initiative of Ministers Shaked and Erdan to establish committee to check issue of arrests for purposes of investigation. The Cabinet approved the initiative of Justice Minister Ayelet Shaked and Minister of Public Security Gilad Erdan to establish a public committee to examine the issue of arrests for interrogation purposes. The move comes in order to ensure that the necessary balance exists between the need to arrive at the truth, on the one hand, and the protection of the rights of detainees who are presumed innocent, on the other. The committee will be headed by former Jerusalem District Court Judge Shuli Dotan. The committee will comprehensively review all the decisions and the handling of detentions for interrogation purposes, including the stage of the arrest, the reception of the detainee, his placement in the detention facility, and bringing him before a judge to extend his detention until his release with or without conditions, while taking into account the reasons for the detention and the rights of the detainees. 2. The manner in which the detention is carried out, with reference to considerations such as the place and time of execution of the detention and the means of use of force (whether or not to handcuff the detainee). 3. Conditions of detention, including conditions for the meeting between a detainee and his attorney and the manner in which the meeting is held. 4. The scope of police powers to release the detainee on bail and under what conditions, while examining the possibility of reducing the period of initial detention through alternatives to detention, including alternatives based on advanced technologies. 5. The manner in which the hearing in the court is held for interrogation purposes, including re-examination procedures and appeals. 6. Mechanisms of supervision and control over decisions regarding arrests for interrogation purposes. The committee will be chaired by Justice (Ret.) Shulamit Dotan, and will include senior members of law enforcement agencies and representatives of the private sector and academia. The committee will submit its recommendations to the government within six months. Justice Minister Ayelet Shaked noted this morning, "The police and the State Prosecutor's Office make excessive use of confiscation tools and detentions. In 2017, of the more than 60,000 arrests, only 25,000 resulted in indictments. Confiscations at the beginning of investigations, as well, are exaggerated and lack proportion in contrast to confiscations at the end of legal proceedings. Thus, suspects against whom an indictment was not filed find themselves unable to manage their family expenses. This is a very serious blow to innocent people."